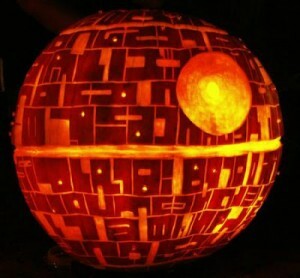 I wanted to put up a pic of a Zombie Jack-o-lantern, but this Death Star pumpkin is too awesome to pass up. Congratulations to all the winners, and a massive THANK YOU to everyone that participated in Zombiepalooza! To everyone who contributed guest blogs and short stories, as well as donating prizes, and to all the people who checked in and entered giveaways. Thanks, everyone! Zombiepalooza was a hoot! I’d also like to leave a quick reminder that Stacey Wallace Benefiel’s giveaway is still going on until November 5, 2010. She’s got a first, second, and third prize, and it’s kind of a big deal. Have a safe and happy Halloween, everybody! Hey, Amanda! It wasn’t you — it was me! I got tripped up by the 1s. Laura, I hope it worked out for you — let us know. I copy and pasted a lot of emails, so I might have made a mistake or two. So if your name is listed and haven’t gotten an email or anything, email me at: hocking_amanda@hotmail.com. I might have sent the wrong email out to people. Thank you sooo much I am looking forward to playing House of Dead 3, but I’m going to have to hide it from my girls 🙂 This was so much fun!!! Okay, Laura, I tried it again, but the email address looks the same (no typos then). This is so awesome! How do we get our address to you (or the author) for the paperback?